A new type of detection technology from Siemens protects centrifugal pumps from dry running in hazardous areas. For this purpose, Siemens has developed special current/voltage detection modules for its Simocode pro motor management system. Simocode pro uses measuring modules to monitor the active electric power consumption of the pump motor to detect a diminishing flowrate and shut off the pump in good time at defined limit values to prevent impending dry running. Additional sensor technology otherwise required to monitor the pump for dry running can be eliminated. A menu-guided teach-in procedure in the engineering software helps the user to set the limit values. 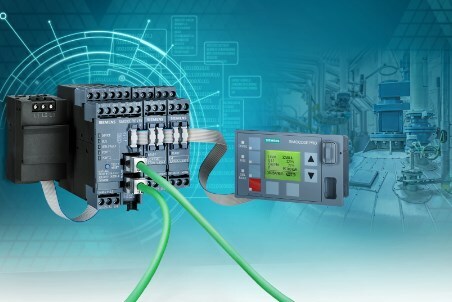 The advantages of the new type of active power-based dry running protection from Siemens are not only less hardware, early detection of faults and the avoidance of damage to the pump but also safe, reliable explosion protection, savings in time and money spent on maintenance, as well as higher system availability and economic efficiency.